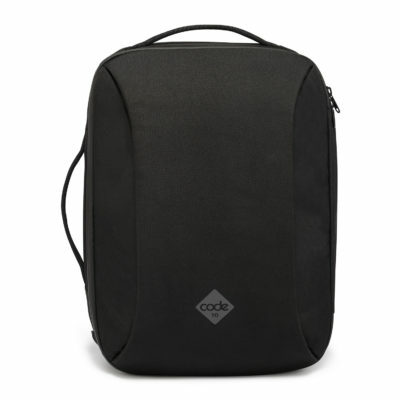 The Code10 Duffel’s smart straps allow for quick transition from duffel-mode to backpack-mode and makes it comfortable and convenient for use in any situation. 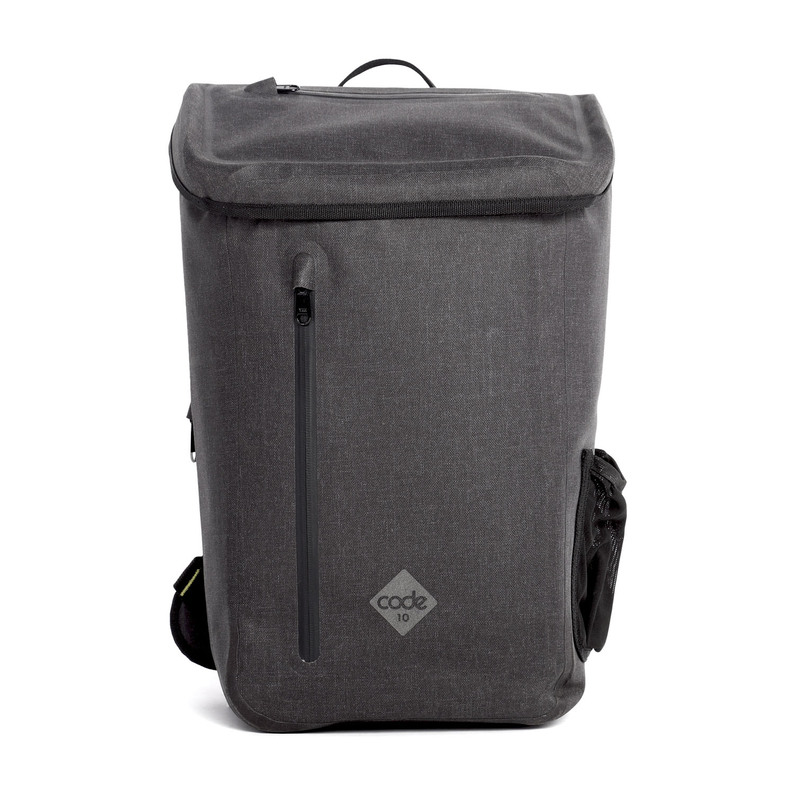 40L of volume means plenty of space for longer trips and the bag can be compressed down to a smaller, more practical size when you don’t need so much space. 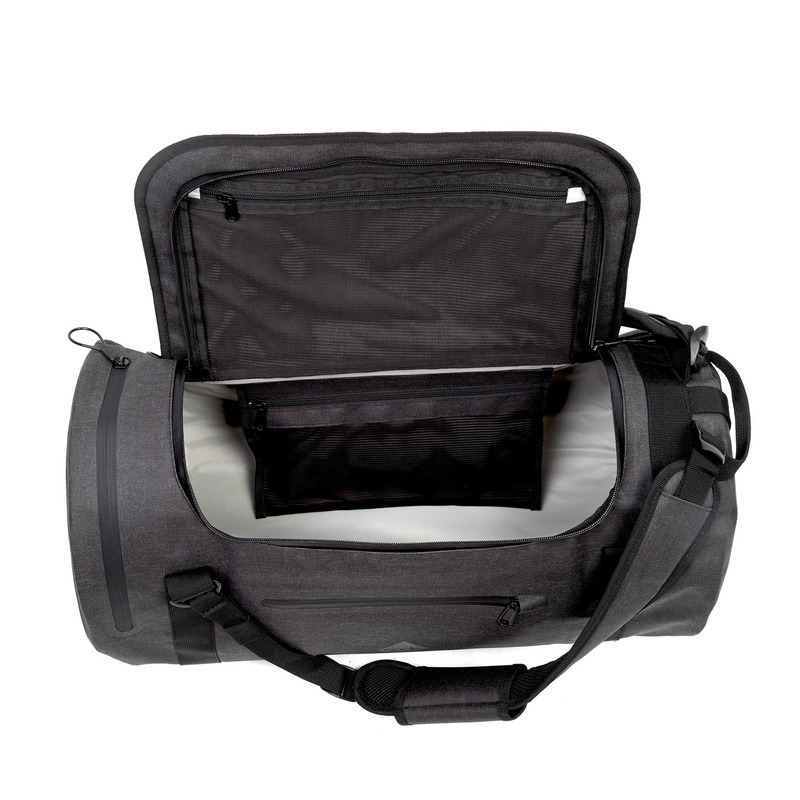 The expandable inner divider bag is great for storing your wet and dirty items and the outside-access ensures your other things don’t get wet and damaged. 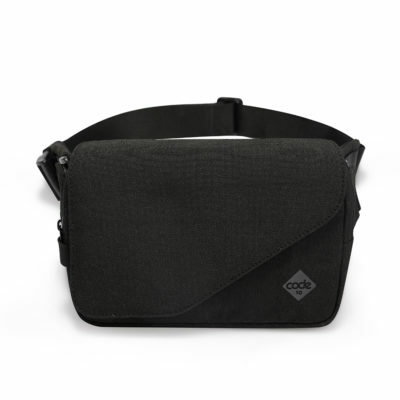 Inner pockets give you complete organisation – perfect for travel! The Duffel is highly secure. 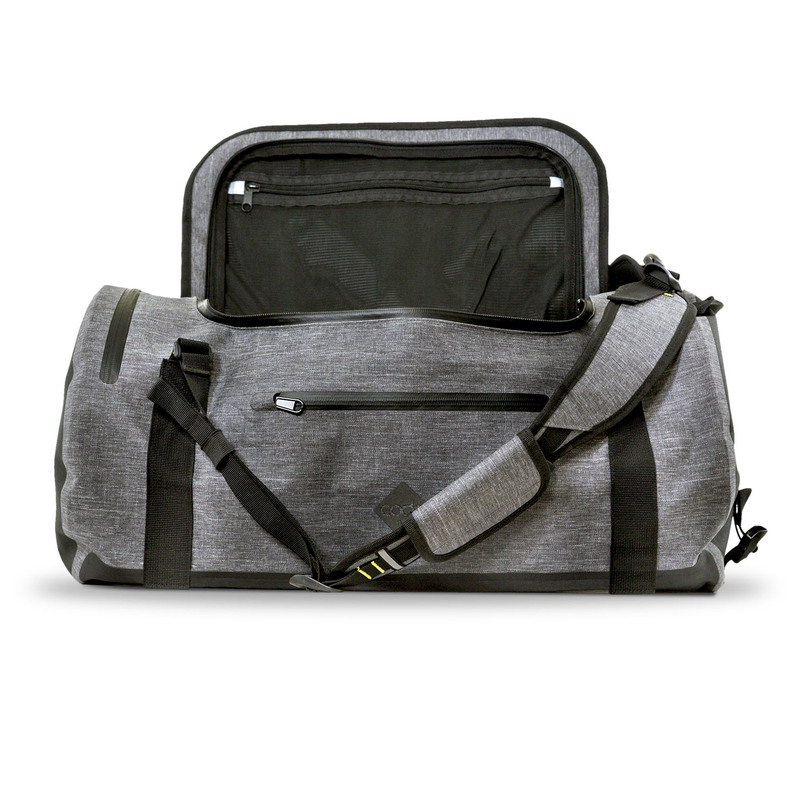 The main zipper is hidden from casual thieves and can be quickly secured when you’re using the bag in crowded areas. 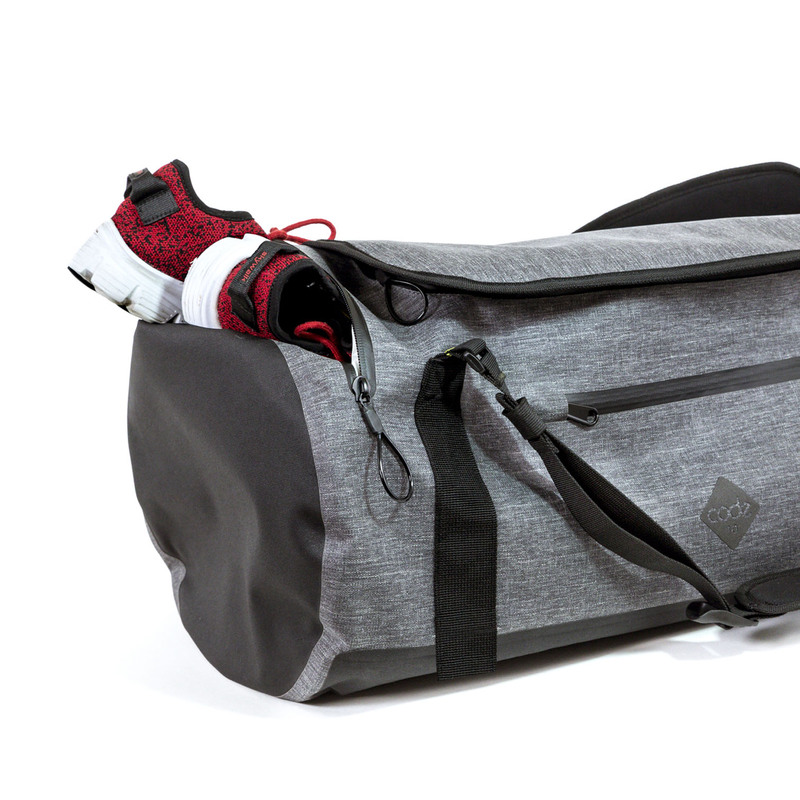 A hidden pocket on the back of the bag is great for quick but discreet access to your valuables. 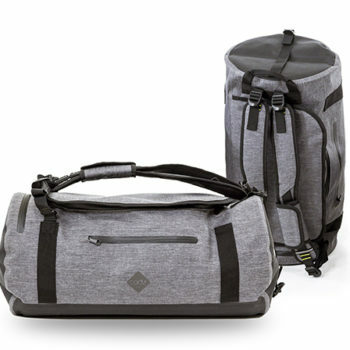 The main body of the bag and the front compartment can be fully locked using the hidden retractable combination lock. 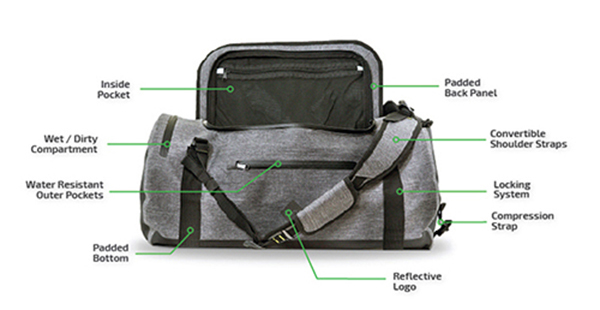 How waterproof is the bag? 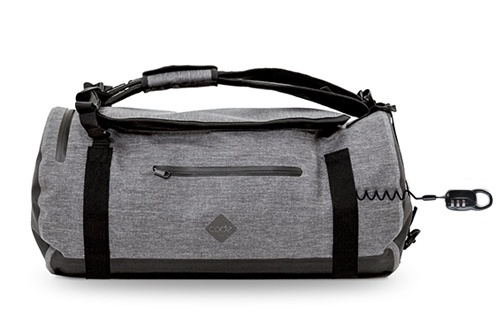 The material we use for the bag is 100% waterproof and all seams use a high frequency welding technique (rather than traditional stitching) to prevent any water from entering. 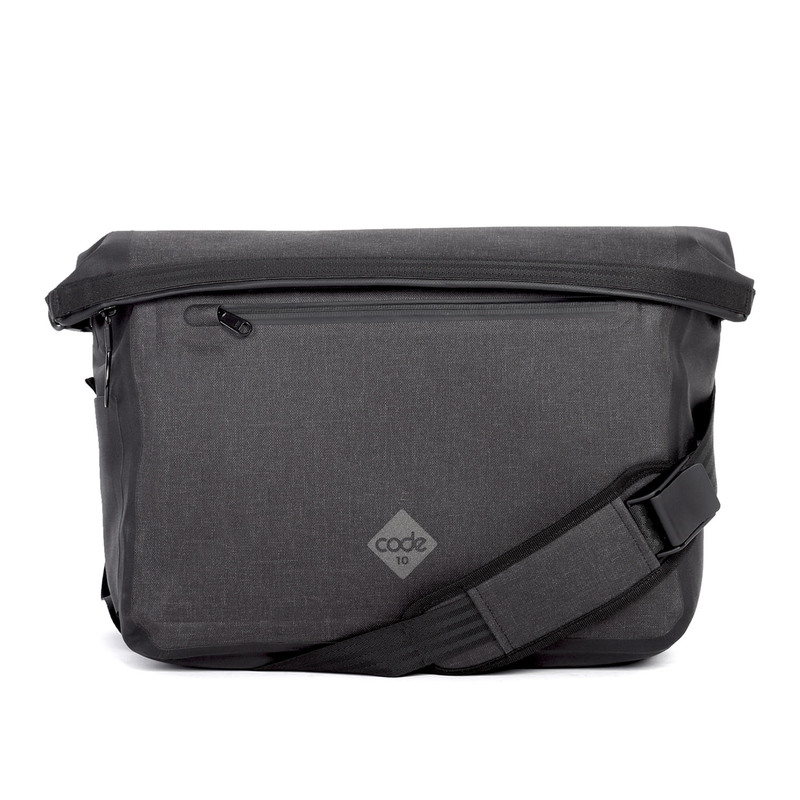 If closed properly, the main compartment of the bag is highly water resistant – this means that it can be heavily soaked by water without fear of any moisture getting inside. However, we don’t recommend that you use the bag underwater as it is not always possible to ensure that the bag is 100% sealed. How much does the bag weigh? 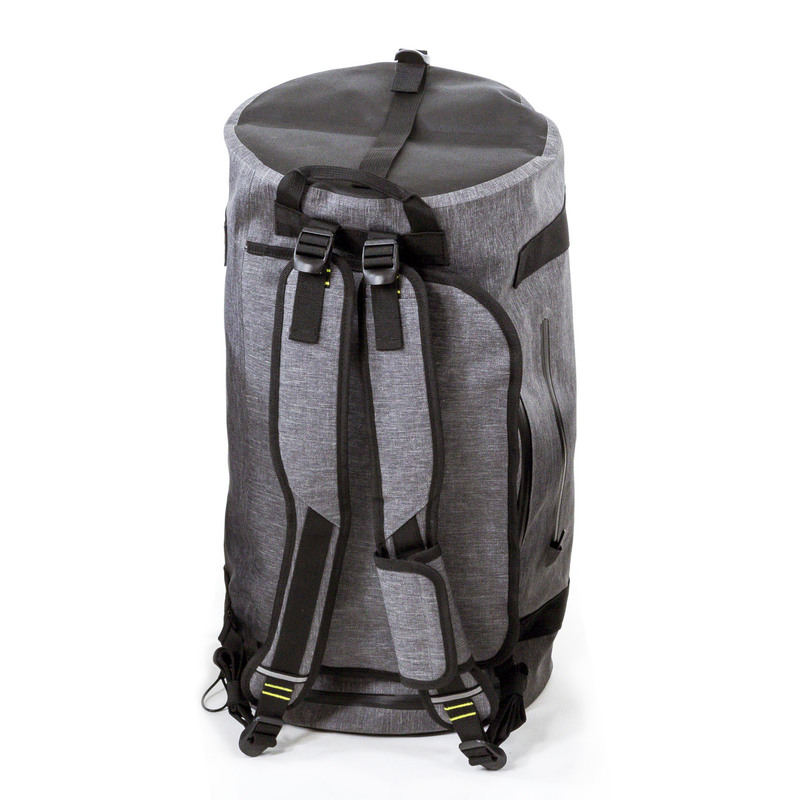 When empty, the backpack weighs approximately 1kg. 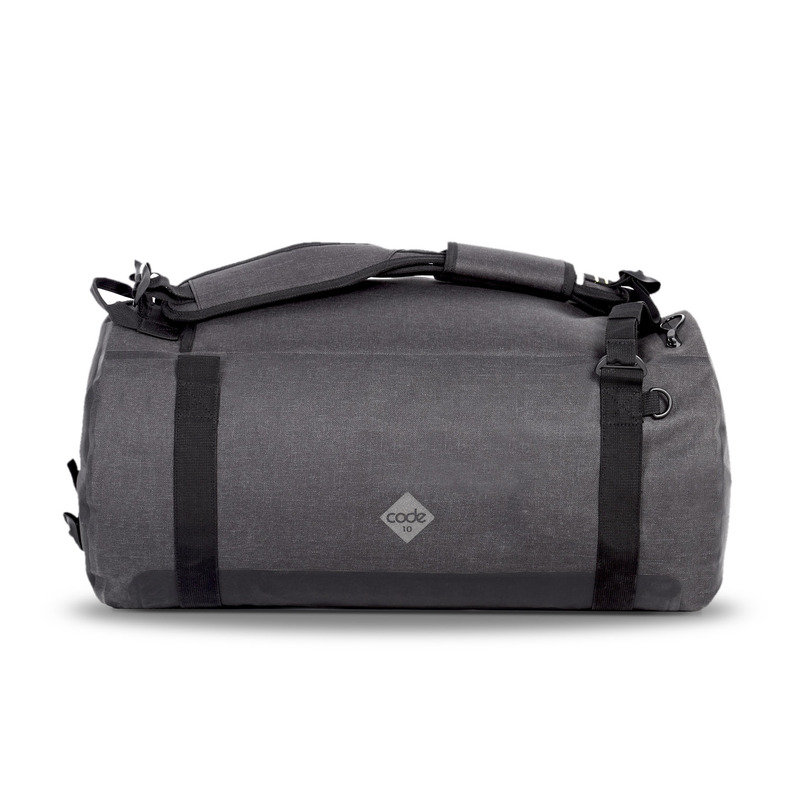 The Code 10 Duffel is not made of a specialist cutproof material. It’s extremely durable and would put up a good fight against a thief with a knife, but it is not impenetrable to someone with good tools. What we aimed for was a bag that would prevent against petty thieves, pickpockets and bag snatchers. We actually experimented a lot with slash proof materials and in the end we decided not to use it for the Code 10. There were a number of reasons for this, but the main one was that we did not find a material that was both truly waterproof AND truly slashproof. How do I lock the bag? We’ve created a very simple system, which is both effective and easy to use. 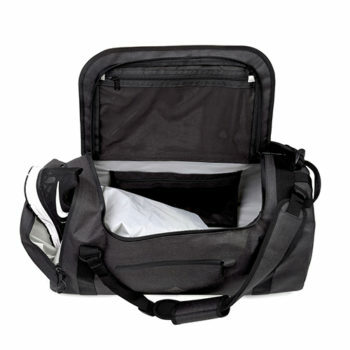 Once the bag is zipped shut, you can secure the zip by hooking the zipper loop over the buckles. A hidden padlock can then be taken out of the backpanel and used to lock the buckles together and ensure that the zip can’t be opened. 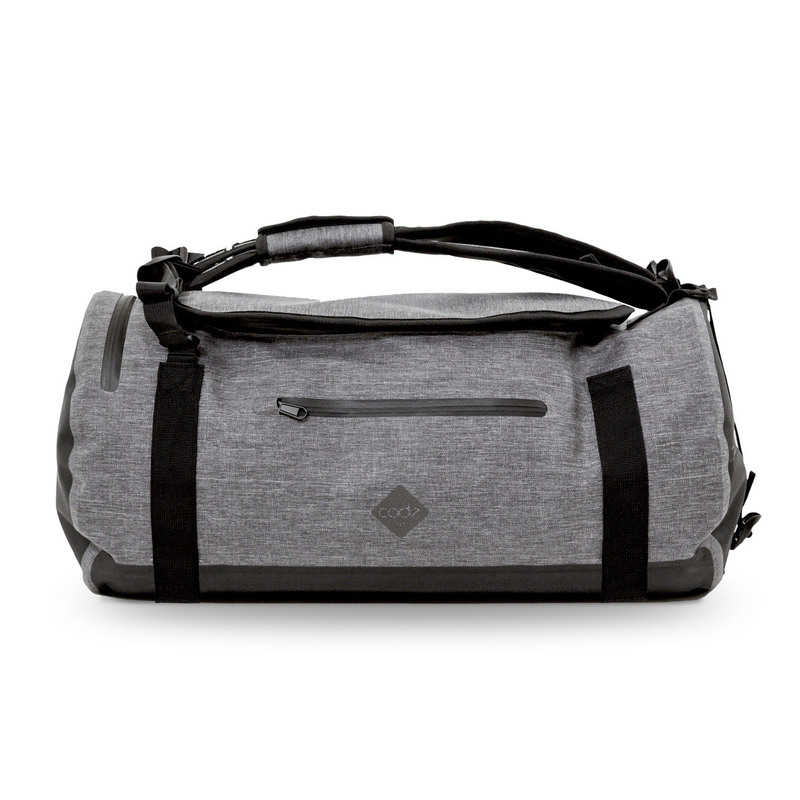 This same system also allows you to lock the bag to static objects.